Reward ChartsHere are our ultra flexible and very popular reward charts. Use them in any way that suits you to celebrate small but important achievements with your kids. The focus sets for these can assist with behaviour, toilet training, meal time and bed time. Focus SetsHere is our range of focus sets for our reward charts. They’re really important because they help you maintain a positive focus and encourage your kids to reach realistic goals. One Child ChartsHere is our range of themed one child magnetic reward charts. Two Children ChartsHere is our range of two children themed magnetic reward charts. Designed for multiple children to use with the same or different focus – or a single child with multiple goals. 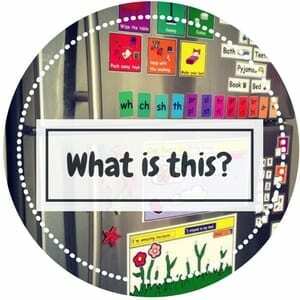 PlayHere are our ‘just for fun’ magnets – many of which are still highly educational but the main focus of these is play. My name is Michelle, I am a former teacher and mum to two beautiful little girls. MagneTricks started from a need – A need for me to get a grip on everything. I was struggling to juggle every responsibility and my kids felt the brunt of my frustrations – I wasn’t being the mum I wanted to be. I decided to make some resources to help me and my girls get through our day to day. Little did I know, what I made was soon going to help hundreds of families with the same struggles. My experience in teaching has really helped me create user friendly, flexible and durable products – because that’s what families need. Parenting is hard. Engaging children positively is hard. I want to make life easier or all families. I want kids and parents to smile and I want children to love learning. I want to make little things easier so you can love life and the people around you. Why are these magnets and stickers so special? They’re designed with YOU in mind. The components of each set are carefully planned to ensure each set remains true to the purpose – A goal to positively engage every child. They’re versatile in all the right places. They can help you while they help your children grow. Sign up for free to gain access to our free downloadable resources. They're designed to help you. Over on our social media pages we share awesome, funny, clever and real content. Our primary goal is not simply to push product so I can feed my kids, I genuinely want to help make life easier for others. I do this in a number of different ways. I write blogs about engaging children, I make full customs sets for people who need something unique, I also have a number of free downloadable resources designed to help make your life easier. Head to the bottom of the page to subscribe to our emails - they're designed to help you. If you want help or information, I'm only and email, message or phone call away.